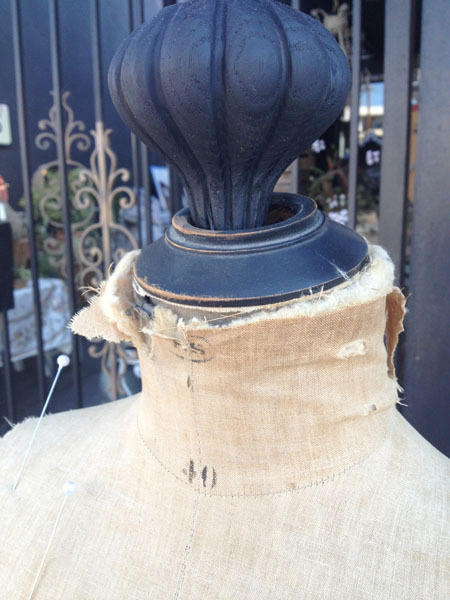 Vintage dress form with original black wood base and carved wood finial, which is a lovely detail alone. 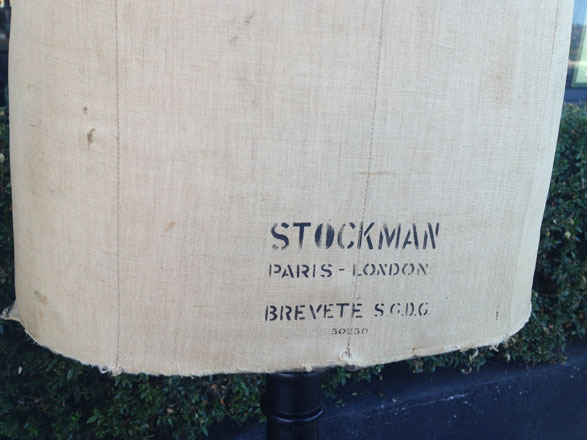 Measures approx 62" H. Stockman Size 40 Model. 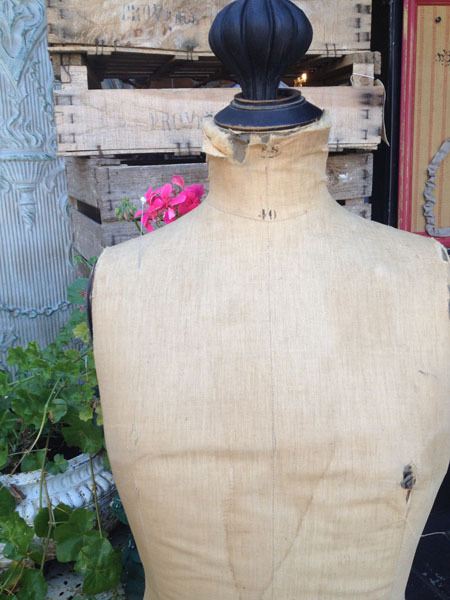 Some tears and stains which only adds to the beauty of a truly authentic vintage form. Discovered in a Northern French Flea Market, circa 1980. ONE available in this exact style.